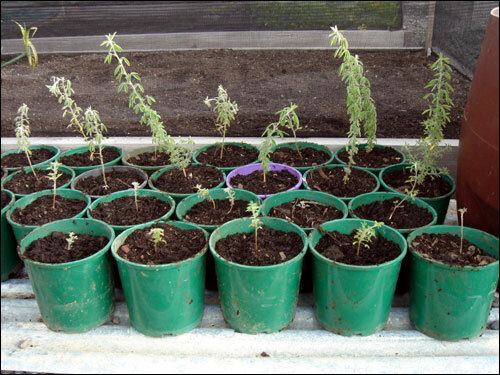 We’ve been collecting tree lucerne seedlings as we find them around the farm and assemnling a bit of a nursery. For many reasons, Tree Lucerne is the perfect tree for farms (or small blocks). So far we’re up to about 60 trees in the nursery but I think we’ll need 100′s over the coming years. We’ve got lots of seed too and have had mixed success germinating them – I guess there’s a reason why each tree produces 100′s of 1000′s of seeds each, and yet the world hasn’t yet been taken over by them. We are looking for tagasaste trees for our very small block in North Waikato. Do you sell any of yours? Or even the seeds? We’re wanting to buy some plants about 10. Do you have any ? Do you deliver to Ohope Beach? Just cleared our trees from weeds and are waiting for them to flower probably next year. Do you have any tree lucerne trees for sale? Do you have Tree Lucern seeds for sale? What is the price per kg? How much will it cost to deliver to Auckland? Do you have any tree lucerne plants for sale. How much for50 trees.